It’s almost Trick or Treat time across Cape Ann, and there’s plenty of family-friendly activities to go around. Whether you have younger kids looking for non-scary fun, or older kids who are looking for a thrill, you’ll find something for everyone this upcoming week. One of Gloucester’s greatest treasures, Hammond Castle, is opening once more for its annual haunted house attraction. 2018 marks the 30th year of Halloween Haunts at this West Gloucester castle. John Hayes Hammond, the inventor who was awarded over 800 parents in his lifetime, built the mansion as a medieval style home in the early 20th century, and it has since become a museum and events space. 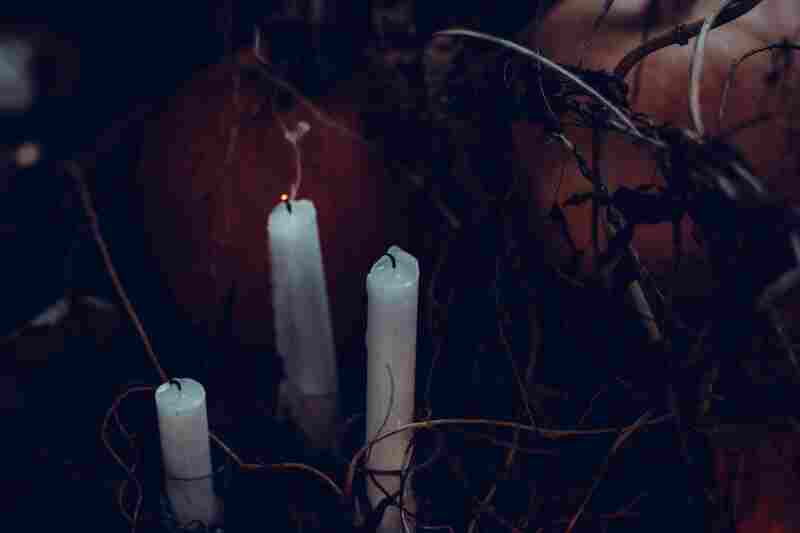 This year’s Halls of Darkness-themed haunted house is held on 3 consecutive Fridays and Saturdays in October. On October 12-13, 19-20, and 26-27, the halls will be open from 7PM until 11 PM. There is no parking directly at the museum, you must park at Stage Fort Park and take the free shuttle bus to the castle. The ticket price for the event is $15 per person. While older kids and teens will have fun at the event, very young children may be frightened, so use discretion when attending. For more information, check out Hammond Castle's website. 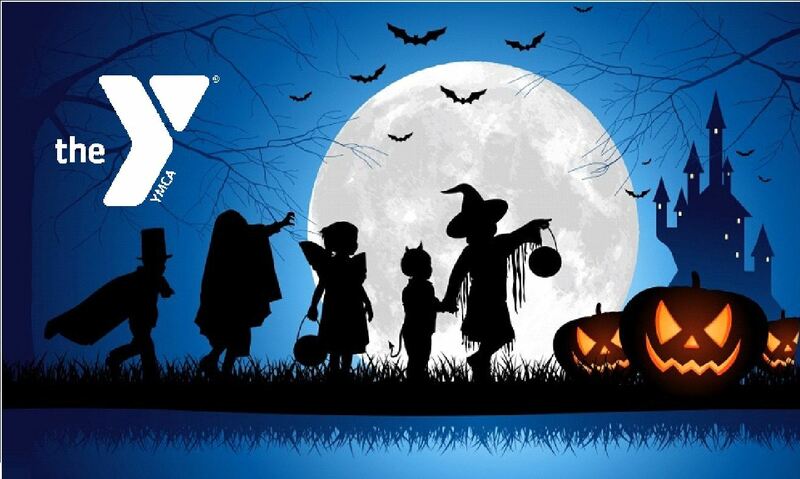 This year’s annual Cape Ann YMCA Monster Bash takes place Friday, October 26 from 6 PM to 8 PM. 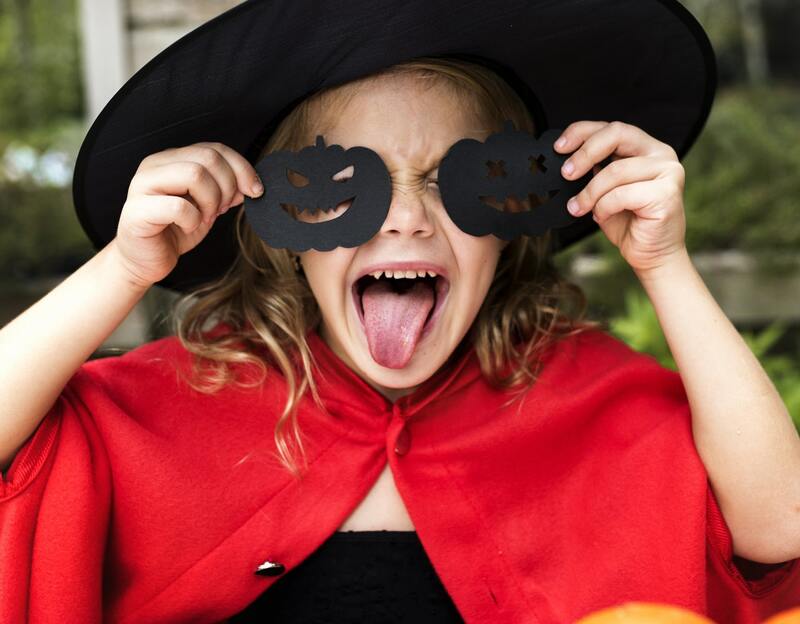 It’s the perfect fun, spooky event for your little ones to show off their costumes, and have a blast! This annual family Halloween event is for kids of all ages - though mostly younger kids and pre-teens, and features a costume contest with games and prizes. There will also be swimming in the “haunted” pool (featuring swampy green lighting), so bring your bathing suits! The Monster Bash has a haunted hallway and pumpkin decorating. There’s also a costume dance party! Parents must attend this event, it is not a drop-off event. While the event is free for YMCA Family members, it’s $40 for non-members, and registration is required, as the event tends to fill up. For more information, check out the Facebook event page. For those with kids younger than school age, be sure to check out Gloucester’s annual toddler trick or treating parade. This event, which takes place Friday October 26th, is perfect for babies and toddlers and is open to the entire community. The parade winds through the downtown businesses so little ones can trick or treat in daylight hours. The start of the parade is in the parking lot behind Captain Bill’s Whale Watch at 24 Harbor Loop, those with children who want to participate should be there at 10:45. For more information, check out the Facebook Event page. Just a few minutes off of Cape Ann, Ipswich’s Marini Farm goes all-out for the fall season, including a fantastic 8 acre corn maze with an Aladdin/Arabian Nights theme. Unlike many other corn mazes, this one is an educational, interactive experience. Marini Farm’s maze has 18 stations scattered throughout the maze with answers to a game sheet you are given at the start - you’ll need to find your way out, as there aren’t any clues. However, you can track your progress through the maze with the amount of answers you get! It usually takes about an hour and a half to complete the maze, so those with very young children may get more joy out of their alternate one acre, twenty-minute mini maze. The corn maze runs until Oct 28th and is open 7 days a week, 10 AM to 6 PM. Friday and Saturday nights are Flashlight Nights, which run 6PM - 10 PM. This upcoming weekend is their annual family-centric Hallow-Marini Party, from noon to 3PM Saturday and Sunday, October 27th and 28th. Featuring music by J&C Entertainment, a dance party with characters, maze scavenger hunt, a trick or treat hunt for kids 8 and under, and other games and events, this event is $12.99 per person, with free entry for kids under two. For more information, check out their Facebook Event Page or Marini Farms website. Marini Farms is located at 259 Linebrook Rd in Ipswich, MA. If you’re in the mood to take a short road trip off Cape Ann, there are plenty of great activities across the North Shore. Located at 30 Valley Rd in Danvers, Connors Farm has a Crazy Train corn maze this year, topping out at 7 acres! The farm and maze are open 7 days a week, from 8 AM to 6 PM, although some of the entertainment and activities are only available on weekends. 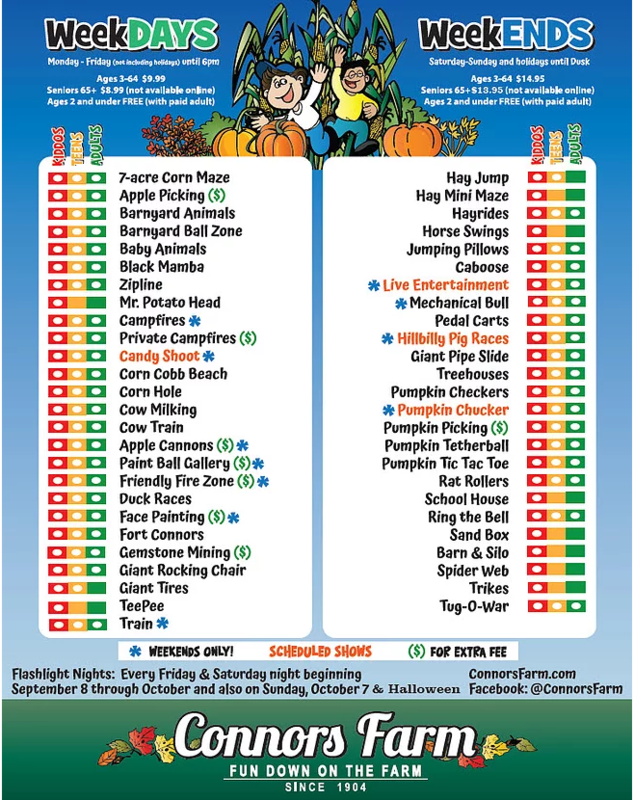 On weekend nights and on Halloween, Connors Farm runs both a flashlight maze and haunted farm, so be sure to bring your older kids for some spooky fun! Connors Farm is much more than just the maze - there’s also apple picking, visiting their barnyard animals, pig races, a corn cannon, pumpkin chucker, slingshots, face painting, duck races, cow milking and hayrides! The chart below shows what activities are available on which days - some may require an extra charge, and some are geared towards younger children while others are made for older kids or adults. For more information on activities and tickets, check out the Connors Farm website!